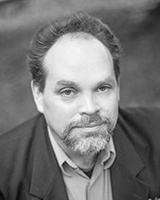 Brian Church, baritone, has sung with Cantata Singers for eighteen seasons, during which time he has been a soloist, section leader, and teacher with Cantata Singers’ Classroom Cantatas program. He is also a longtime member of the Choir at King’s Chapel. A passionate proponent of contemporary music, Brian has performed with SoundIcon, Boston Musica Viva, Collage New Music, Boston Modern Orchestra Project, Tanglewood Festival of Contemporary Music, Ludovico Ensemble, and New Gallery Concerts. He has worked with a wide range of composers, including John Harbison, Lewis Spratlan, Christian Wolff, Roger Reynolds, Vinko Globokar, Helmut Lachenmann, Hannah Lash, Curtis K. Hughes, Marti Epstein, Andy Vores, and Caroline Shaw. With Guerilla Opera, he has taken part in twelve productions, including ten premieres and two commercial recordings. He has also performed as a substitute member with the Grammy-winning vocal octet Roomful of Teeth. This past spring, Mr. Church performed Peter Maxwell Davies’ 8 Songs for a Mad King with Callithumpian Consort in Anchorage, Alaska, and he performed the role of Julius Rosenberg in the North American premiere of Joachim Holbek’s The Rosenbergs: an Opera, with Boston Playwrights’ Theater. For eleven years, Mr. Church played electric bass with the acclaimed avant-noise punk trio Tristan Da Cunha. He recently released his second solo album, Then That Soon I See, and is currently recording his third. He teaches music in the Winchester Public School System and at Music 101 Studios in Melrose.